We are the U.S. Coast Guard's recreational boating safety representative on the upper Potomac River from Arlington westward to the Shenandoah. We are volunteers, professional in all we do and dedicated to the missions in which we serve. We protect individuals on our local waterways. Flotilla Arlington Northern Virginia helps keep individuals safe and secure on local waterways and at the waterfront. We provide courtesy, non-punitive vessel inspections that check recreational boats for safety gear, legal compliance, environmental risks, and provide hands on education to the boat’s operator. Our members support routine safety patrols on the Potomac and Anacostia Rivers. We protect our local waterways themselves. Flotilla Arlington Northern Virginia helps protect the local waterways from environmental hazards. We prevent environmental damage through vessel inspections and community education, we work with marinas and waterfront establishments to minimize environmental impact, we investigate and respond to pollution issues when on the water, and we work with community groups to conduct environmental cleanups. We educate future leaders in service at local universities. 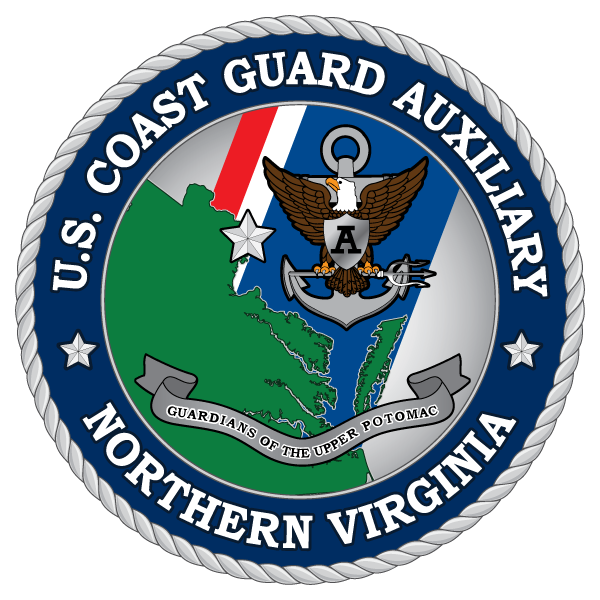 Flotilla Arlington Northern Virginia supports Auxiliary University Programs Unit Washington, a program that enables undergraduate and postgraduate students from all nearby universities to develop their leadership and technical talents in service to the Coast Guard and Coast Guard Auxiliary. Learn more about our mission areas.